Who is cleaning your teeth? Have you ever wondered who the person behind the mask cleaning (scaling) your teeth is? At Kirksville Dental Group it is important that our patients receive a proper cleaning from our Registered Dental Hygienist (RDH). RDH’s are licensed health professionals who have graduated from an accredited Dental Hygiene program, passed a national written examination, and a state clinical examination. They also are required to stay up to date in their field through continue education courses. So why is it important that a Registered Dental Hygienist cleans my teeth and not my dentist? Dentist can clean teeth but that is not their specialty. Registered Dental Hygienists are in the specialty of cleaning teeth. You wouldn’t want a general surgeon to perform open heart surgery, would you? While they are able to, you would rather have someone who specializes in that area and performs that type of surgery on a regular basis. Just remember that your RDH plays a vital role in your overall oral health. 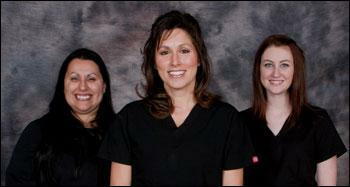 We have three Registered Dental Hygienist on staff to give our patients the quality of care they deserve. If you have any questions regarding what your RDH can do for you contact our office at 660-665-1901.